Join Me at Blueglass Florida! 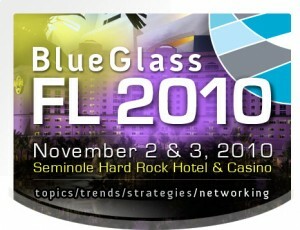 I’m very excited to be presenting at the upcoming Blueglass Florida conference in North Miami November 2nd and 3rd! I’ll be presenting along side the always-entertaining Marty Weintraub from AIMclear and the lovely Joanna Lord from SEOmoz. Advanced PPC Tactics : Styling & Profiling! 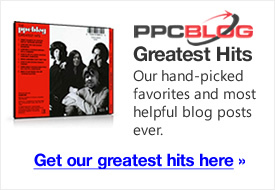 PPC is much more than starting a few campaigns in Google AdWords and then setting & forgetting. This panel will cover advanced tactics in behavioral, demographic & profile targeting within AdWords, Bing and the big daddy of profiling : Facebook! Want to serve customized ads to your target demographic that are going to lead to sales and long term brand loyalty? Then this session is for you. After an hour of discussion and tactics, you’ll be ready to tweak your PPC campaign and take it to the next level. The full lineup of speakers and presentations is available on the agenda page here. Some tickets are still available, and more info on the entire event can be found here! If you’re planning on attending, be sure to drop me a line and let’s meet up! Dag gum, hate to miss it. Especially since it’s Miami in November, the best time! Actually, I might try to get down there. Tie it in with a business trip. Thanks for the heads up.